Top selling foaming hand soap using 0.5% Triclosan. 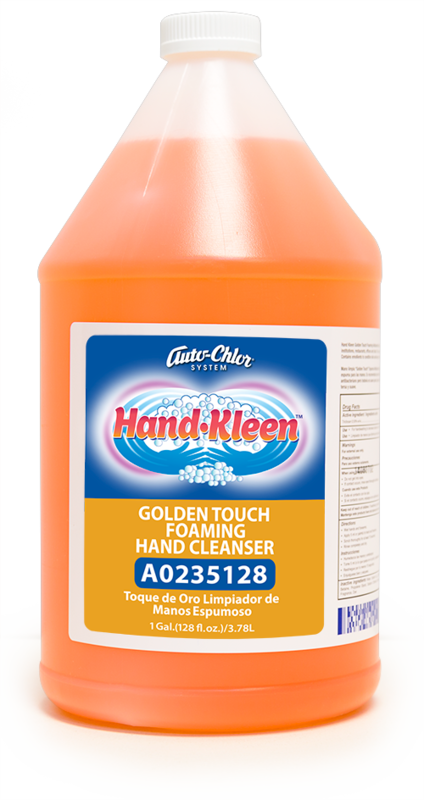 Encourages frequent use by providing cleaning action and protective emollients with every hand wash. The creamy foam and pleasant citrus and spice fragrance convey quality and mildness. Bulk one gallon size is excellent for use with countertop mounted dispensers in public restrooms or with pour-over type foaming dispensers. For convenience and safety, use toe Safe n’ Sealed 1000 ML pouch system and wall mounted dispensers.